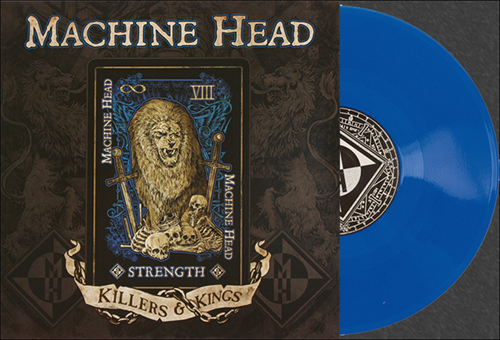 Machine Head will be releasing a 10 inch vinyl with the A-side containing the "demo" version of a new song, "Killers & Kings." The B-side will be a cover version of the songs "Our Darkest Days / Bleeding" from one of Machine Head's favorite bands "Ignite". The single will be released in four different versions with four different "Tarot Cards" as artwork. Record Store Day is an internationally celebrated day observed the third Saturday of April each year. Its purpose is to celebrate the culture of the independently owned record store. The day brings together fans, artists, and thousands of independent record stores across the world. TakeMyScars.com - A Place Dedicated to the Mighty Machine Head!